A local dish. 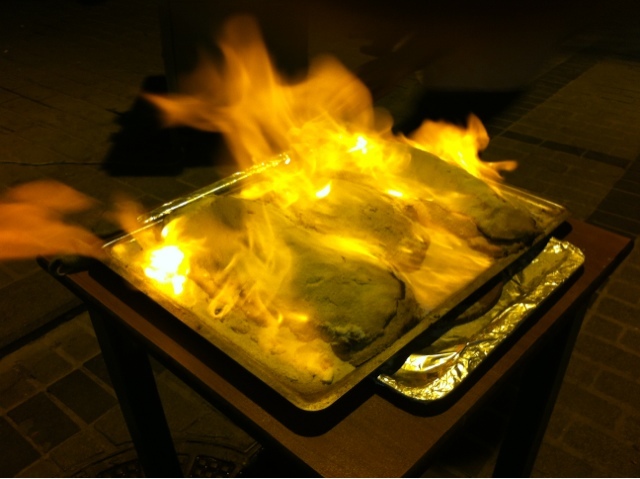 They cover a fish in salt about 1cm thick and baked it for 40 mins. It comes to the table on fire.